Ouishare, a website that is committed to "connecting the collaborative economy," ran a review of on March 27, 2013, by Joel Dietz. 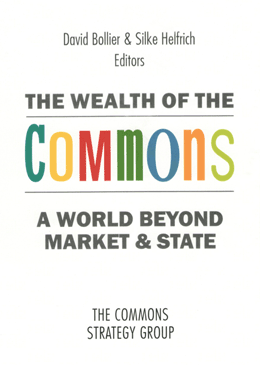 Dietz calls The Wealth of the Commons "a revolutionary book full of constructive input for the growing sharing economy, including a diverse group of voices drawn from intellectuals and activists across the globe. Instead of attempting to provide formal definitions or grand plans, they ambitiously and artfully combine diverse viewpoints from people with similar sympathies, bringing together all sides together to plant new seeds for the growth of a democratic commons."